Why Choose an Area Rug? 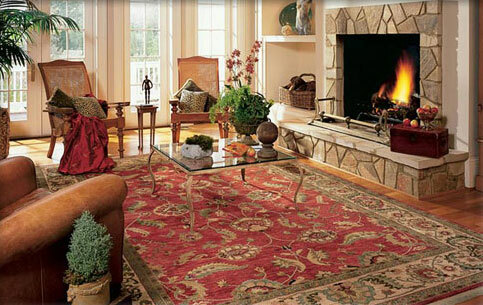 Area rugs are a great choice for a variety of different rooms in your home or office environment. They serve a number of practical purposes as well as adding to the distinct style and flavor of your decor. Did you know that we stock a wide selection of quality area rugs at our six retail locations? We guarantee that you will find something you love at iDeal Floors. When considering an area rug, start with comfort as they add cushion and warmth to a hard surface floor. Whether you have a wood floor, or a ceramic or stone or even laminate floor, those hard surfaces can be a little rough on your feet. A quality area rug will help you break up that hard floor into softer more comfortable steps. If you have children in your home and you are concerned about traction, a large area rug (or several matching rugs) in your space will provide a soft surface for your children to play on. When it comes to rugs and room size, remember to keep it proportional. The area rug should be at least eight inches away from a wall, however the general rule is that it is placed less than twenty four inches away. There are a variety of methods to place an area rug, but most designers agree that designing a comfortable conversational room setting is ideal. Place furniture that is framed or touching the rug. Some people prefer not to have any furniture on top of the area rug, but the choice is yours depending on your individual taste. If placing a coffee table on top, ensure that scale wise, the rug extends beyond the coffee table and beyond the front legs of any sofa, chair or ottoman for balance. 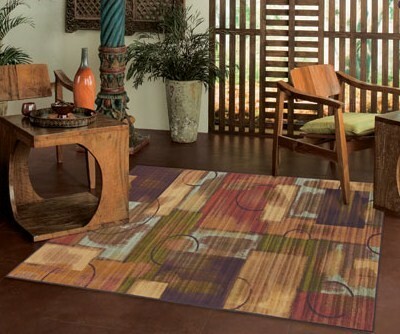 Think of an area rug as a method of adding interest and artistic design to your space. While you may have a somewhat neutral palette (paint and furnishings) don’t be afraid to splash out creatively with some color in your area rug. It will enhance the beauty of your decor and add depth to the color scheme of your room. Need help choosing the right size or color area rug for your home? We are happy to help you find the best flooring option for your home.